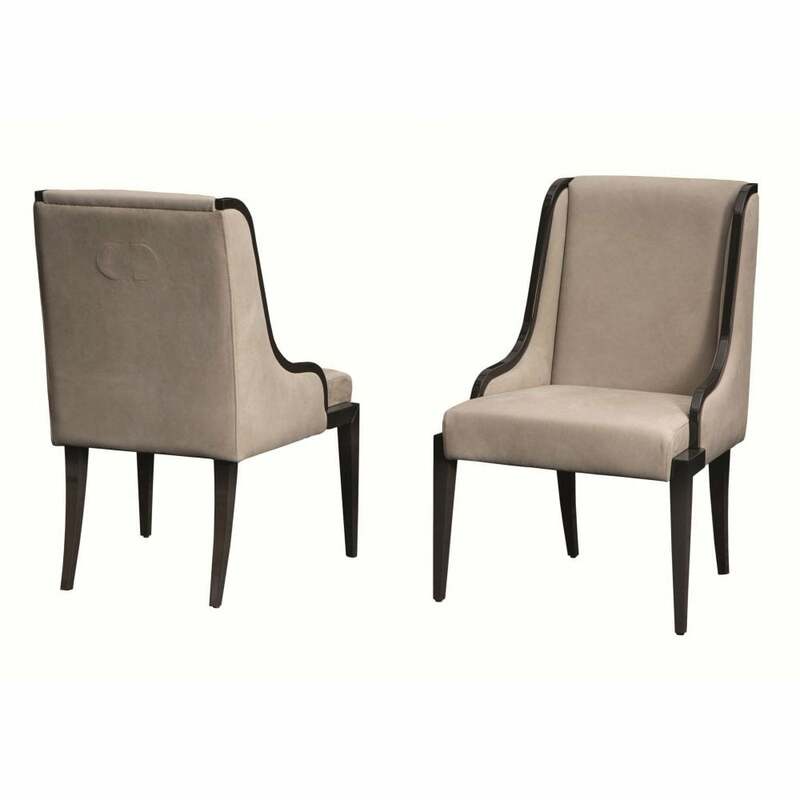 Elegant and refined lines characterize the Nicole Dining Chair from Daytona’s luxury furniture range. Hand-crafted by skilled artisans, the Nicole Chair is formed from solid beech wood with a smoke gloss lacquer finish. Tapered legs and padded fabric seating create a sumptuous design. Use as a dining chair or as an elegant desk chair, Nicole works beautifully when paired with dark woods. Upholstery can be made with F/11 Jubilee print weave effect, or Kuba quilted on leather or nubuck. Make an enquiry for more information.